GREEN BAY, WI, Mar. 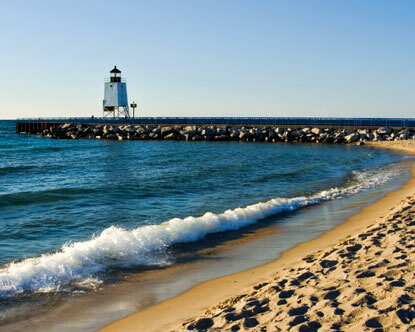 3, 2014 — On Thursday, Feb. 27, the Environmental Protection Agency (EPA) announced the award of a $500,000 Great Lakes Restoration Initiative grant to the city of Green Bay, Wis., to fund a green infrastructure project to improve water quality in Lake Michigan. EPA Region-5 Administrator and Great Lakes National Program Manager Susan Hedman joined Green Bay Mayor Jim Schmitt and the Friends of Bay Beach at the historic Bay Beach Amusement Park to announce the grant. “This grant will be used to install permeable pavement and bio-filter gardens in the Bay Beach Park to prevent untreatedstormwater runoff from contaminating Lake Michigan,” said Hedman. By Percoa USA in Uncategorized on March 29, 2014 .